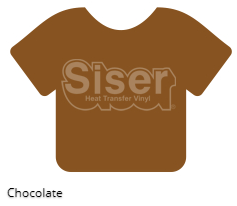 Why is this the number one selling cuttable heat transfer vinyl material? Lower temperature, HOT or COLD peel, no lifting, durability wash after wash, and lower pressure. It’s thinner than competitors material and offers a one-step application that’s great for multiple layers. Comes on a pressure-sensitive carrier. All orders for Vinyl will incur an ADDITIONAL $10.00 oversized shipping fee. You will see this cost charged separately on your account.